Hike and Bike Plan passes (almost)! Last night the City of Arlington Council Chambers were overflowing. Almost 100 people spoke – over 300 were in attendance. It was a long meeting with lots of amazing and inspiring speeches in support, and (as usual) plenty of misinformation, attacks, and ludicrous conspiracy theories in opposition. Council voted to approve the plan 5-4, with Robert Shephard, Sheri Capehart, Jimmy Bennett, Lana Wolff, and Kathryn Wilemon voting for the plan. Mayor Cluck and Council Members Patrick, Rivera, and LeBlanc voted against the plan. The plan is not yet approved! Arlington requires a second reading for all ordinances. It is entirely possible that some council members may change their vote the second time around. It’s rare, but it does happen occasionally. So, when’s this second reading? It should be Tuesday, August 2nd, but Mayor Cluck mentioned that they could push it back if they felt they needed more time to discuss and debate the plan. As we hear more about this process we will post up here. Also: there should not be another public hearing – just a vote by council. It’s important to note that City Council is now on vacation, until the August 2nd meeting. While they shouldn’t be totally cut off from the world during the time, we should still be respectful that they are on a break and realize they’ve likely heard all our arguments. So, for now, thank our yes votes and mention how you look forward to their second vote of approval. As we get a better read on the situation closer to the second reading we may find a need for elaborating on why their vote was wonderful or why the no-votes should consider changing their vote. The plan council voted on last night was Option C. Robert Shephard proposed moving a few chapters to the Appendix to make them act more as recommendations and less as mandates. He also proposed not prohibiting parking in a bike lane. Sheri Capehart added back some bike facilities: numbers 9, 18, and 22 from our suggestions, as well as two bike lanes connecting to TCC on Southeast Parkway and Mansfield Webb Road. Hopefully the city will publish a new map soon so we can view the complete proposed plan. Maybe this plan is not our optimal plan, but it’s a step in the right direction. As we are able to implement these facilities our opposition will be able to see the benefits they bring and will hopefully be open to more in the future. But for now, this is one step forward towards better freedom of transportation in Arlington. The opposition is not going to let their guard down – any and all behavior will be scrutinized by the opposition, including the failure to obey traffic laws. A Million Thank Yous to our Supporters! Y’all were awesome last night and you have been wonderful throughout this long ordeal. The support from the Arlington Chamber of Commerce, UT Arlington, the Downtown Arlington Management Corporation, and the Arlington Convention & Visitor’s Bureau was incredible. We also want to thank our friends at Fort Worthology and all over the Metroplex. We especially appreciate our “yellow shirt” sponsors: Acme Bike Co., Mellow Mushroom, Tanstaafl Pub, Potager Cafe, Old School Pizza & Suds, Cody Rocamontes Memorial Skatepark, and Legacy Merch! You rock! And remember, it’s not over yet! Continue to stay positive and up to date! wear yellow. Bring your Hike and Bike Plan support shirt if you have one. We will have more to hand out. fill out a card when before you enter council chambers, mark it in support, and mark whether you wish to speak. the total amount of time supporters will be allowed to speak is 20 minutes (same for those opposed). Each speaker should get 2 minutes to speak at the most. If you are comfortable speaking, are a business owner, or represent an organization, please do speak. since the speaking time is limited, you do not need to speak. The visual of having as many supporters as possible in the room will make a huge impact, so come out and bring your friends! stay respectful. These meetings can get pretty heated, so take a deep breath and remember to stay calm, only speak when permitted, and be sure to thank Council for their time. the limited speaking time means this will likely be a shorter meeting, so please try to show up as close to on time as possible. Council chambers will be open well before the meeting so feel free to show up early. The public hearing is the first regular item on the agenda, so it should be underway by 7:00.
we are having a short Ride to City Hall for the meeting. If you’d like to join, meet us at Old School Pizza and Suds (603 West Abram Street) at 5:30. 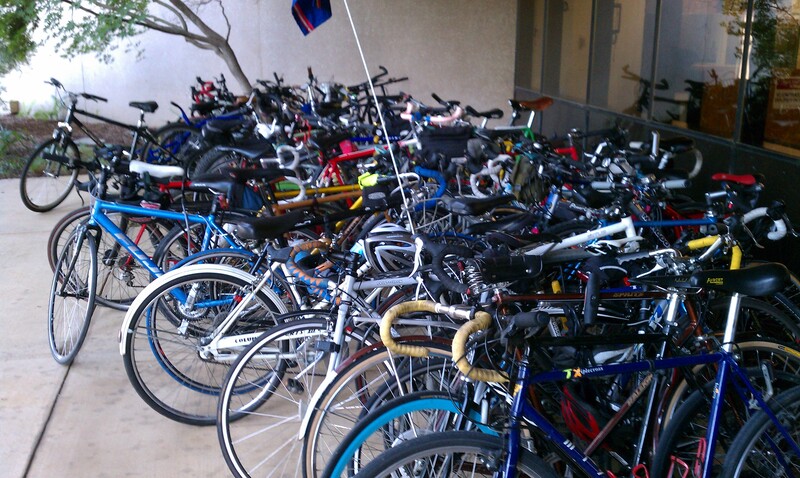 We will leave by 5:50 to ensure plenty of time to lock our bikes, get shirts, and sign-in for the meeting. if you haven’t written council yet, now is the time. Council will be voting on Option C. If you think we need more than what Option C provides, let Council know! for more history on the plan, see this post. Our long battle should be over soon, so come out (and bring your friends) to show your support, enjoy the show, and celebrate with us! We’ll see you there! Make Plan “C” Safer, Better Connected! It has been many months, many meetings, and many e-mails since the Hike & Bike Plan was first conceived. While the consultant, staff, steering committee, and general public spent months developing a comprehensive, well-connected plan, naysayers have spent an equal amount of time tearing it down, with misinformation, conspiracy theories and outright lies. And now we are less than a week away from the first public reading. 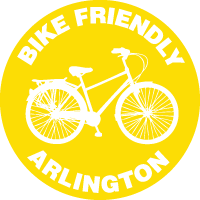 Bike Friendly Arlington would like to thank you for the time spent in consideration of the plan, but in the same breath we would ask that certain on-street elements be put back in to make on-street riding safer and allow for more connectivity. 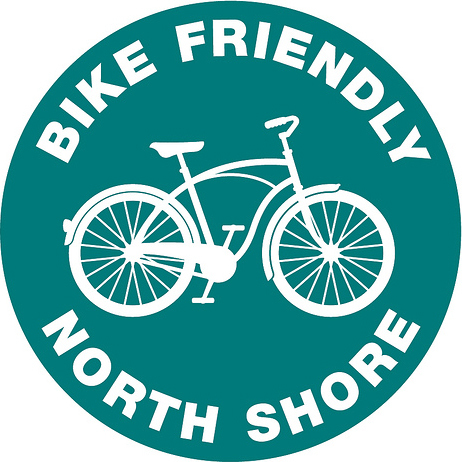 Safety – given the choice, bike lanes should be placed in favored of bike routes where possible. Bike lanes have a proven track record for increasing safety. While they may just be stripes of paint on the ground, striping creates a defined space for bicyclist that motorists and make bicycle travel more predictable. Connectivity – the plan is a snapshot of a full build out. If this is going to be the guide for street design, it needs to be as robust as possible. There is no sense in creating a plan that is disjointed. Residents should be able to get where they are going by the most direct route possible. Gaps in the connectivity will make bicycle travel between different parts of the city less likely. Access – As is, Plan “C” is a stripped down Plan “A.” Plan C includes numerous cases where former planned bike lanes (removed in Plan B) were added back in Plan C, but as bike routes, even though there is ample pavement width to accommodate them as bike lanes. While bike routes may serve an experienced rider that feels comfortable riding with traffic already, they do little to encourage the novice rider to take to the streets. If the bike routes are passed in lieu of bike lanes, and bike routes implemented accordingly, safety and accessibility will only marginally increase. Border (from Mesquite to Collins): This route offers an east-west connection from the university to Collins and can be completed by simply adding a stripe of paint. Daniel (from Pioneer to Timberview): wide enough for bike lanes via a stripe but is listed in Plan C as a shared lane (bike route). Davis North (from Green Oaks to Randol Mill): This is a major north-south route in northwest Arlington, connecting River Legacy and northern neighborhoods to central Arlington and UTA campus, and there is enough space for bike lanes via re-striping but this was eliminated in Plans B and Plan C.
Davis North (from Randol Mill to Sanford):This segmenthas ample existing pavement width for bike lanes by simply adding stripes but this was eliminated in Plans B and C.
PRIORITY: Davis North (from Sanford to UTA Blvd): This segmenthas ample existing pavement width for bike lanes by re-striping the road, but this was changed to a bike route in Plan C.
PRIORITY: Davis South (from UTA Blvd to Park Row): This segment has ample existing pavement width for bike lanes by simply adding a stripe, but Plan C calls for a shared lane (bike route). Hardisty Dr (from Sublett Creek Linear Park to Cooper): wide enough for a bike lane, but is listed in Plan C as shared lane. PRIORITY: Kelly Elliot (from W Pleasant Ridge to W Sublett): Offers an important north / south connection on the west side of the city where Plan C shows nothing. PRIORITY: Kelly Elliot (from W Sublett to Gentle Springs): Offers an important north / south connection on the west side of the city where Plan C shows nothing. Can be accomplished by simply adding a stripe. Lamar (from Green Oaks to HWY 360): Enough space exists to add a wide outside lane by simply restriping the road, but this was eliminated in Plan B and C.
Norwood (from Lynnwood to Park Row):Wide enough for bike lanes via adding a stripe, but is listed in Plan C as a shared lane (bike route). Norwood (from Bowen to OS Gray Park):Shown as an off-street path in Plan C, this stretch of road connects a bike lane to a bike route, and so should remain on-street to avoid interrupting the on-street system and increase safety. Oakwood (from Green Oaks to Randol Mill): Has ample existing pavement width for bike lanes by simply adding stripes, but Plan C calls for a shared lane (bike route). Sherry (from Mitchell to Craig Hanking Drive): Has adequate pavement width for bike lanes via adding a stripe, but Plan C lists it as a shared lane (bike route). Spanish Trail (from Arkansas to end of Veterans Park):Wide enough for bike lanes via adding a stripe but is listed in Plan C as shared lane. Treepoint (from SW Nature Preserve to Little Rd):Wide enough for bike lanes via adding stripes, but is listed in Plan C as shared lane. PRIORITY: Tucker (from Pantego to Davis): Wide enough for bike lanes via adding stripes but is listed as a shared lane (bike route) in Plan C.
Wimbledon (from Bowen to Sandalwood): Connects neighborhoods to the Harold Patterson Sports Complex. A bike lane can be adding by simply adding stripes, but Plan C shows no connection. PRIORITY: Woodside (from Woodland Park Blvd to W Pleasant Ridge): Offers an important north / south connection on the west side of the city where Plan C shows nothing. Can be accomplished by simply adding a stripe. City Council, please add back these important elements that provide additional connectivity to the system and provide additional safety and comfort for all users. We thank you for your time and your service to our community. Cities all around the Metroplex are making great strides to advance bicycle infrastructure. 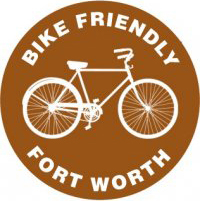 Fort Worth unanimously approved their BikeFW plan in February of 2010. This plan provides 480 miles of on-street bike lanes, 218 miles of on-street bike routes, and 224 miles of off-street trails. As Mayor Mike Moncrief stated before he voted to approve the plan “The important message tonight is alternative modes of transportation. We deserve options from which to choose” (see his comments starting at 01:24:00 here). To supplement this plan, the Fort Worth City Council also recently unanimously approved both a Safe Passing Ordinance (requiring a vehicle to give three feet of space between it and a vulnerable road user) and a bicycle parking ordinance for the city. Just this month the Dallas City Council also unanimously approved the 2011 Dallas Bike Plan. This plan provides 255 miles of on-street bike lanes, 188 miles of on-street bike routes, and 456 miles of off-street trails. 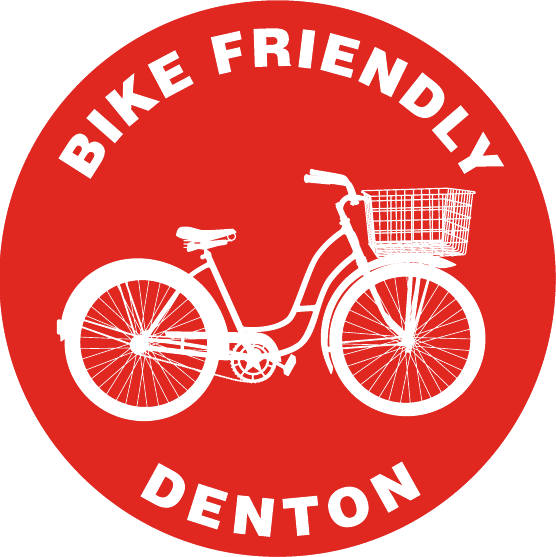 The City of Denton has a bike plan underway, but in the meantime, unanimously approved a Safe Passing Ordinance. The City of Richardson’s bike plan contains a robust system of bike lanes, routes, and trails. We realize Arlington is not any of these cities, and we appreciate that too. We love Arlington. But we feel Arlington is missing an opportunity to provide real amenities for its citizens. Our neighbors are attracting creative people who help spur economic development and Arlington needs to do the same. Better, no? Also, Arlington’s Option A is about 58% on-street and 42% off-street, which is closer to Fort Worth’s percentages (75% on-street and 25% off-street) and Dallas’ percentages (65% on-street / 35% off-street). (By comparison, Arlington’s Option C is only about 49% on-street / 51% off-street – learn more here.) Option A also has many more miles of lanes, instead of routes, which is a better option – people want on-street facilities to get to practical destinations. For a full understanding of the differences between these facilities, please see our post about bike lanes and bike routes, and why bike lanes are accessible to more users than bike routes. 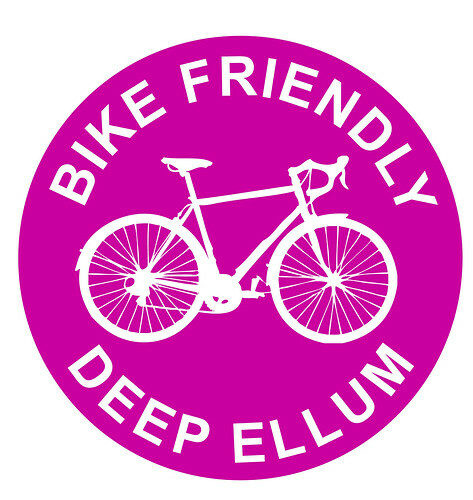 Bicycle infrastructure is on a roll in the DFW metroplex! 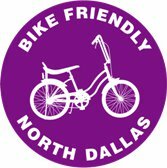 Dallas recently passed their 2011 Dallas Bike Plan and the Bike Fort Worth Plan has already implemented an impressive number of bike lanes and routes and created a vibrant community atmosphere in the Near Southside District. Arlington City Council will vote on a modified version of Arlington’s Hike and Bike Plan on June 28, 2011. Arlington is several strides behind its neighbors. It’s been over a year and a half since transportation planners and private consultants worked with the public to create Arlington’s Hike and Bike System Master Plan, and several months since the Planning and Zoning Commission recommended the plan for approval (in February 2011). But when the original proposed Hike and Bike System Master Plan landed in the hands of Arlington City Council Members and Arlington’s more regressive residents, it changed from a transportation plan into a recreational compromise. The City Council changed the Hike and Bike plan from a comprehensive bicycle and pedestrian transportation system to a plan that emphasizes cycling and walking for recreation rather than transportation. The plans are now referred to as Option A, B, and C. The plan that will be put for a vote before Council is Option C. But, “Plan C, with its focus on on-street bike routes and not bike lanes, does little to bridge the experience gap between novice cyclists that only feel comfortable riding in parks on trails, and experienced cyclists who already feel comfortable riding in the street with traffic” (Plan “C”: Mind The Gap). Plan A was projected to create a viable and integrated transportation and recreation system with 108 miles of striped bike lanes, 33 miles of bike routes, and 118 miles of off-street trails. Plan C includes only 16 miles of bike lanes, 43 miles of bicycle routes, and just 64 miles of off-street facilities. Plan C gives the impression of a compromise: it balances on- and off-street bicycle facilities in mileage rather than estimated funding, thus creating fewer on-street bike lanes (Refer to the plan comparison chart for cost estimates). We are encouraging amendments to Plan C for bike routes to return to the plan as bike lanes, as they were designated in the original plan. Plan C is not the kind of Hike and Bike Plan that Bike Friendly Arlington expected, but it’s better than no plan at all. We’d like to extend an invitation to all cyclists, pedestrians, BFA supporters, and businesses to the public hearing at City Hall Council Chambers, 101 W. Abram Street, on June 28, 2011, at 6:30pm. The meeting will likely be unruly and at times incredulous, but we could use all the support we can get on the positive side. Please wear your yellow support shirt if you have one, and if you don’t we will be handing out more in the lobby. Please be sure to learn more about the plans, write a letter of support to City Council Members, join our mailing list, and tell your friends! Please join us to help get a Hike and Bike System Master Plan that properly accommodates for Arlington’s diverse citizenship – ages 8-to-80 – once and for all! We’re posting another letter we sent to the opposition’s leader, Mr. Buddy Saunders. We look forward to a response. On the eve of the Thoroughfare Development Plan public hearing our readership has forwarded us your SOS Update #57. We have read it and attached our analysis below. We request that you forward this analysis to your readership in the interest of giving them the most accurate information in regards to the TDP before tomorrow’s hearing. Again, in the interest of transparency we have CC:ed City Council and will post a copy of this e-mail on our blog at http://www.BikeFriendlyArlington.com. Thank you for your attention to this matter. 1. The latest TDP Update recognizes that Arlington is still growing, but it is now virtually land-locked by other cities and so that growth will be in particular areas, and it will occur in ways that are different from what was originally planned in the 1990s. 2. Over-building of roadways and over-wide streets cause speeding, and speeding through neighborhoods was listed as the number one concern among residents in the 2011 Citizen Survey. 3. Let’s be fiscally responsible, and increase our roadway capacity in those places where the expected population growth and land use require it. Don’t over-build in those neighborhoods and areas where it’s not needed. Why pay for miles of concrete and maintenance costs where it’s not needed? Focus on where it is needed. 4. That’s why the TDP Update plans for an increase of around 216 lane miles of roadway, instead of 348 lane miles in places where it’s not needed. This will save the community around $130 million. 5. Traffic is affected by population growth, density, and existing and FUTURE land use–what the land is being used for around those roads, as well as the socio-economic characteristics of the area. This researched update uses computer modeling that takes this into account. 6. The model projects that automobiles will still be the primary mode of transportation in the next 30 years. It also recognizes that people want other choices too, and that streets should be designed flexibly for this. 7. The model is cautious. It assumes “high intensity” future uses in areas that don’t have a current use. 1. Roadways with Level of Service (LOS) A are “freeflowing.” Yes, the TDP says Level of Service A is “freeflowing,” but it also goes on to say this traffic flow is “at or above the speed limit.” In other words, SPEEDING. TDP Update, p. 5. 2. Myth: “…planners consider [Level of Service] C or D acceptable in order to make room for bicycles.” (SOS #57, 1). TRUTH: While we appreciate that thought, really, C or D is desirable because at this level, “traffic moves along at an efficient rate and posted speeds are maintained.” (TDP Update, p. 5). In other words, NO SPEEDING, and traffic moves EFFICIENTLY. You don’t have to spend the extra money on unneeded road width and maintenance of the extra roadway. 5.Myth: Bike riding only occurs in Arlington in parks (Paragraph 3). Truth: People in Arlington want to bike on city streets in Arlington to get to practical destinations, but they want to feel safe doing so, that’s why in the open house surveys, 94% said they’d bike more, and 88% said they’d walk more, if biking and pedestrian improvements were installed. Also, bicyclists in parks that we’ve talked to say they like the idea of bike lanes on Arlington streets, and they don’t want to be limited to just the parks. People want to bike to practical destinations for running errands, shopping, entertainment, school and work, in addition to parks. One speaker at the 2nd P&Z meeting even brought up that they didn’t want to have to drive their car to a place so that they could ride their bike. Furthermore, bicyclists are already on city streets, and we’re seeing more of them all the time. You notice them more when you bike yourself, or have friends or family who bike. You’re more sensitive to them. We’re posting a letter we sent to the opposition’s leader, Mr. Buddy Saunders. We look forward to a response. We have been forwarded a few of your SOS updates by our readership. Frankly, we find some, if not most of your statements misleading and others blatantly false. From Update #54 stems most of the misinformation that updates #55 & #56 are based on. To make sure that you are getting correct information to your readership, we’ve done an analysis of your updates and written up a summary of our findings. We did this analysis in the hopes that you would forward the information to your readership. After all, you wouldn’t want them to form opinions or act on bad information, would you? Send them this analysis and let them get more than just your point of view. Let them decide after they get the corrected information. While we think your engagement in the process is admirable, the angst that you show against on-street infrastructure is misguided. At best your efforts to “inform” others are having a deleterious effect on the formation of a transportation network plan that has an implementation outlay of 30-40 years. Even though you say you are not anti-biking we find this to be a disingenuous statement given your call to “Kill the Plan,” — a plan that gives people transportation options, and will have a positive impact on the safety and health of Arlington residents for years to come. To limit the plan, reducing it from a well researched and developed “A” to a watered down “B” or “C” is to limit the future of Arlington’s transportation network, and the potential for Arlington to attract and retain the next generation of Arlingtonians.We admit, at times we find it hard to follow your contradictory statements. If you are for fiscal responsibility, why are you against the new TDP and the $123 million savings that come with it? Why are you for the off-street trails when off-street infrastructure is the most costly portion of the plan? If you are worried about bicycle safety, why are you against bicycle lanes that have a proven track record of improving safety? But let us not digress from the matter at hand. The reason we wrote this e-mail was to get you to address the misinformation presented in the latest SOS updates. We’ve attached our analysis below. 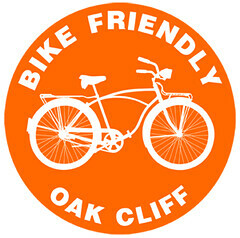 In the interest of transparency we are CC:ing council and will place a copy of this e-mail on our blog at http://www.BikeFriendlyArlington.com. We look forward to receiving a response in regards to the actions you have taken vis-à-vis correcting false or misleading information you have published in regards to the TDP and H&B plans. Thanks for your time in this matter. False Statement: An overwhelming majority of Arlington’s citizens do not want bike lanes on any city streets. The TRUTH: An overwhelming majority of Arlington’s residents DO want bike lanes, as evidenced by the following: a survey during the community engagement process during the research and drafting of the hike and bike plan found the following: 94% of respondents said they’d bike more, and 88% said they’d walk more, if biking and walking improvements were implemented. The community engagement process included both opponents and proponents of the plan. During the Planning & Zoning Commission public hearings supporters outnumbered opponents by about a 3:1 margin. Also, even opponents have said that they could see a plan that focuses on the UTA footprint and central Arlington (A plan should include more than just UTA and central Arlington, however). The statement that a majority do not want bike lanes on ANY city streets is outright FALSE. False Statement: Bicycle riders are free to ride anywhere in Arlington. The TRUTH: this statement coldly, cruelly ignores all of the statements made by cyclists who describe being hit, clipped, had objects thrown at them, being threatened, or were too closely passed which created a danger for the cyclist, while bicycling on city streets. These cyclists come from all over the city. These statements have been made at numerous public hearings and forums. Also, the city’s ordinance does not expressly permit bicycle riding on sidewalks, nor should it, because sidewalk riding is dangerous, especially when traveling against traffic. This is because driveways and curb cuts allow traffic to cross sidewalks quickly with little view because of trees, vegetation and walls. Also, motorists are focused on traffic on the street and are looking for breaks in street traffic, they’re not looking at the sidewalk. A study confirms the danger of sidewalk riding, and another study shows that on-road bicycle lanes reduced collision and injury rates by about 50% (Reynolds, Conor, et al., “The Impact of Transportation Infrastructure on Bicycling Injuries and Crashes: A Review of the Literature,” Environmental Health, Vol. 8, no. 47 (2009)). The TRUTH: Of course Arlington’s population will grow, and the staff and consultant state this in the TDP at page 2: “Arlington is expected to grow to a population of approximately 438,000 with over 197,000 jobs by the year 2030.” This growth was included in the TDP analysis, and when the consultants and staff concluded in the TDP that the increase in Arlington’s streets should be 216 lane miles instead of 348 lane miles. Of course, Arlington is still growing. But Arlington is rapidly becoming land-locked, and the RATE of its future growth will be different than in the past, with developments that are occuring around UTA campus, Viridian, and other projects. The TRUTH: The TDP will INCREASE the city’s existing lane miles by 216 miles. The 32 streets are actually 52 street segments. Most of the 52 street segments actually will have NO CHANGE or actually see an increase in their lane miles from existing conditions. The list of street segments in the TDP is at page 24, Table 5.2. Look at the second column, entitled “From-To”, Look at “Existing Lanes” and look at “Recommended Change.” Of those 52 street segments, about 73% of those segments (38 out of 52) will actually have NO CHANGE, or will see an INCREASE in the number of lane miles (54% of the listed segments would stay the same as existing conditions, and 19% of the listed segments would increase from existing conditions). Only about 14 of the segments are planned to have an actual reduction in lane miles from existing conditions (27% of the segments listed–representing only about 2% to 2.5% of all the lane miles in the city). The TRUTH: We are unsure where this 80% figure comes from. It seems to be an apparent misquote from the May 24th City Council Work Session. What the chief planner ACTUALLY said was that about 80% of the city’s total possible future land area (we’re virtually land-locked by other communities) has an existing land use, as shown in the city’s Comprehensive Plan and Land Use Map, and this is used by the consultant and a computer model along with other variables to predict future road needs. The model also considers FUTURE development and land use, and, to be cautious, they assume high-intensity uses in future development in the model when projecting future road needs. As a result of this analysis, only about 14 to 15 miles of roadway are planned to have lanes reduced from existing conditions. This is only about 28-30 lane miles, and this represents only about 2.5% of all existing lane miles (1,200 lane miles total), and only about 2% of proposed future lane miles (1,416 lane miles). The TRUTH: Note: for the streets below, please refer to the Tiled Recommendation Maps (Appendix H) of the original proposed Hike and Bike plan. Baird Farm Road from Brown south to Lamar is already two lane and already has BIKE LANES! And there are no parking problems. Bert from Davis to Cooper: No lane reductions are planned. No narrowing below AASHTO standards. It simply involves striping, as indicated by the red and yellow dashes (NOT red and green dashes) on the map in original Hike and Bike Map Tile in Appendix H (p. H-6). Lincoln from Green Oaks south to I-30: No lane reductions are planned. No narrowing below AASHTO standards. It simply involves striping, as indicated by the red and yellow dashes (NOT red and green dashes) on the map in original Hike and Bike Map Tile in Appendix H (p. H-6). Margaret from Green Oaks south to Bert: No lane reductions are planned. No narrowing below AASHTO standards. It simply involves striping, as indicated by the red and yellow dashes (NOT red and green dashes) on the map in original Hike and Bike Map Tile in Appendix H (p. H-6). Washington from Cooper east to Lincoln: No lane reductions are planned. No narrowing below AASHTO standards. It simply involves striping, as indicated by the red and yellow dashes (NOT red and green dashes) on the map in original Hike and Bike Map Tile in Appendix H (p. H-6). Regarding PARKING: Parking is not a problem because the original plan provides for flexibility and continued neighborhood involvement and if parking is an issue, other techniques can be used to create bike travel improvements, such as an edgeline, or, as staff suggested, creating special hours for parking. For instance, if parking occurs in the evening or having parking on one side of the street and utilizing biking symbols and signs. Regarding “NARROWING”: SOS’s claims of so-called “narrowing” is mostly just the application of a painted stripe on a street that is already more than wide enough to handle motor vehicles. In fact, the OVER-WIDE lanes on many city streets causes speeding, and speeding in neighborhoods was listed as the top problem in the 2011 Citizen Survey, bigger than burglaries, illegal drug sales, and stray animals. In those few instances of narrowing (for instance, as indicated by the Red and Green dash marks on the original Hike and Bike map at Appendix H) (none of which are listed here), those have only been planned where there is plenty of pavement width to do so with no sacrifice to safety, as the American Association of State Highway Transportation Officials confirmed in its analysis, discussed in the Hike and Bike Plan at Chapter 3. Little Road from Green Oaks to Treepoint: No lane reductions are planned. No narrowing below AASHTO standards. This route has a wide outside lane that will accomodate a re-stripe. Also, there is already no parking on Little Road. Perkins south of Arkansas to Waterview: this is one of the few travel lane conversions remaining in Option C, and it is near Lake Arlington, and there are no severe parking issues on Perkins. No narrowing below AASHTO standards. Shorewood and/or Bowen [sic] Springs Rd: It’s Bowman Springs Rd (NOT Bowen) and anyway, the Bowman Springs Rd. bike improvement is a sidepath, not a bike lane. Shorewood between Saddle Ridge and Bowman Springs Rd. is a Travel Lane Conversion, has low traffic volume and will accomodate the conversion, little to no on street parking and is near Lake Arlington and will help cyclists get there. No narrowing below AASHTO standards. False statement: These are the Option C streets that will see lane reductions, lane narrowing, and loss of residential on-street parking due to the addition of striped bike-only lanes. Abram from O.S. Gray Park east to Fielder: this is NOT a Travel Lane Conversion. It is the addition of bike lanes with new construction, as indicated by the red and orange dash marks in the original Hike and Bike plan map at Appendix H (p. H-9). The opponents are confusing this with Norwood, and a city councilmember states that this neighborhood wants the Norwood travel lane conversion to calm down traffic and reduce speeding. No narrowing below AASHTO standards. Davis from UTA Blvd south to Arkansas: this is NOT a Travel Lane Conversion. The road is already 2 lanes. The pavement width is already wide enough to accommodate bike lanes, as indicated by the red and yellow dash marks in the original Hike and Bike plan map at Appendix H. No narrowing below AASHTO standards. Pecan from UTA Blvd south to Park Row: Pecan from UTA Blvd to Mitchell already has bike lanes and is already 2 lanes. It is NOT a Travel Lane Conversion. Pecan from Mitchell to Park Row is a Travel Lane Conversion to 2 lanes, with low traffic volume and will accommodate the conversion, little to no on street parking, and it is badly needed to get UTA cyclists to housing, shopping, and practical destinations. No narrowing below AASHTO standards. Sanford from Oakwood east to Mesquite: No lane reductions are planned. No narrowing below AASHTO standards. It simply involves striping, as indicated by the red and yellow dashes (NOT red and green dashes) on the map in original Hike and Bike Map Tile in Appendix H (pp. H-5 & H-6). Regarding PARKING: Parking is not a problem because the original plan provides for flexibility and continued neighborhood involvement and if parking is an issue, other techniques can be used to create bike travel improvements, such as an edgeline, or, as staff suggested, creating special hours for parking for instance, if parking occurs in the evening, or having parking on one side of the street and utilizing biking symbols and signs. UTA Blvd from Davis to Mesquite: False: No parking issues. There is currently no parking on this segment. Also, this is a Travel Lane Conversion that UTA wants to continue make the campus more pedestrian friendly. No narrowing below AASHTO standards. West Mitchell from Davis to several blocks east of Collins St.: There is currently little to no parking on this segment. Also, this is a travel lane conversion that UTA wants to continue make the campus more pedestrian friendly. No narrowing below AASHTO standards. Calender Rd. from Collard, (NOT Collins) south to Turner-Warner: First, Calender Rd from Sublett to Curry is already a 2-lane road with bike lanes and no parking issues. Second, Calender Rd. from Collard to Sublett, and from Curry Rd. to Turner-Warnell (not Warner): No lane reductions are planned. No narrowing below AASHTO standards. It involves new construction of bike lanes as indicated by the red and orange dashes on the map in original Hike and Bike Map Tile in Appendix H (p. H-13 && H-17). Bowen from Bardin south to Redstone: No lane reductions are planned. No narrowing below AASHTO standards. It involves new construction of bike lanes as indicated by the red and orange dashes on the map in original Hike and Bike Map Tile in Appendix H (p. H-13 && H-17). No parking issues. Acme Bike Co: Arlington’s Newest Bike Shop! Arlington is a city of over 360,000 people in an area of almost 100 square miles. But until recently we’ve only had one full-service, bikes only, bike shop. We’ve needed another one for a while, and we finally have one in downtown Arlington: Acme Bike Co! Acme was opened by the same guys who opened Trinity Bicycles in Fort Worth. 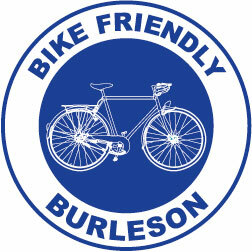 They’ve done great work there in regards to bike advocacy and running a bike shop that is truly friendly to everyone. Acme Bike Co is open Monday – Saturday, 11 to 5. Check out their website and facebook page to stay up to date on specials and events. Stop by soon to welcome Acme to the neighborhood!